There are exactly 1,623 miles and countless beers between the McKelvin and Rissmiller families. Family owned by cousins Mike McKelvin and Zac Rissmiller and community driven by their respective neighborhoods in Westminster, Maryland and Elizabeth, Colorado, 1623 Brewing prides itself in crafting high quality beer with deep-rooted, continental connections inspired by the ones who we love most. 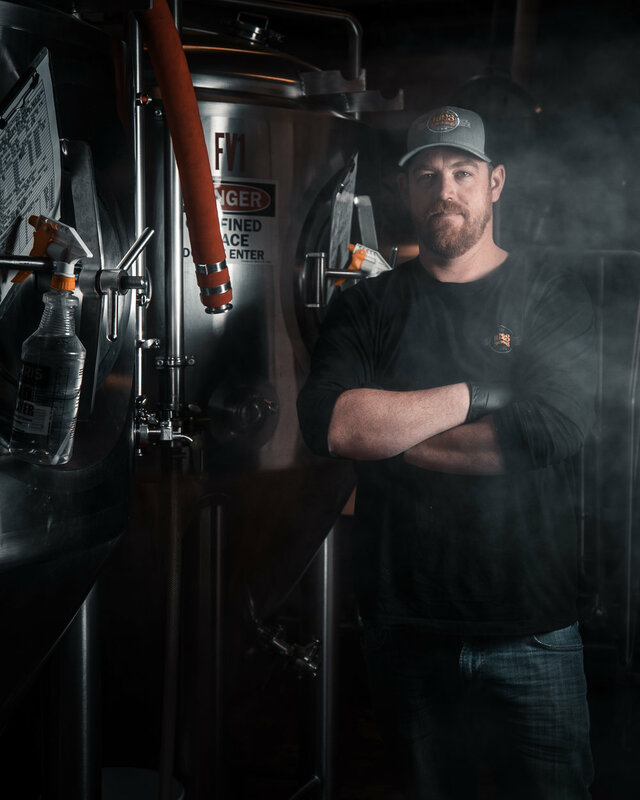 Born and raised in Littleton, Colorado, Zac Rissmiller began his brewing career after working as an engineer at Lockheed Martin. Zac has helped to launch and grow figurehead Colorado breweries, spent countless hours obsessing over recipe development, and brewing batch after batch after batch after that perfecting process and technique. Zac is proud to call Colorado home, and thrilled to share his work with the Maryland beer community. Zac got his start in the beer industry at Dry Dock Brewing Company's sister company and adjacent homebrew shop, The Brew Hut. He worked as an intern, assistant, and then head brewer at Elk Mountain Brewing for three years helping to win four Colorado State Fair medals, a silver medal at 2015 GABF® for South German Hefeweizen, and a silver medal at the Best of American Craft Beer Awards in 2015, also for Hefeweizen. Can you tell Zac likes Hefeweizen? Zac went on to co-found Resolute Brewing before moving on to Rockyard Brewing Company as Manager of Brewery Operations. In 2018, Rockyard quadrupled its sales and won gold at the 2018 World Beer Cup. Rockyard’s German-style Pilsner Primadonna is one of Zac’s favorite beers on the planet. Born and raised in Essex Maryland, Mike McKelvin has called Westminster, Maryland home for 25 years with his wife Sandy and daughters Jordan and Cameron. Mike is a proud graduate of Western Maryland College with thirty years of sales, marketing, and entrepreneurship experience and is constantly driven by “what's next?”. Sometimes that next step is what's right in front of you— for Mike, it's bringing together his love of family, community, and commitment to hard work. What's next is 1623 Brewing. 1623 is about a life's work becoming a life's passion for Mike. Creating something from the ground up with Sandy and the girls by his side while having a direct influence on the approach and style of business. The exciting opportunity to combine the family experience with the experiences of our families is something not many get to do. Mike drives home everyday that “family is first”, and everyone is invited to join the family.